Like many water utilities across the globe, Nairobi City Water and Sewer Company implements an increasing block tariff. 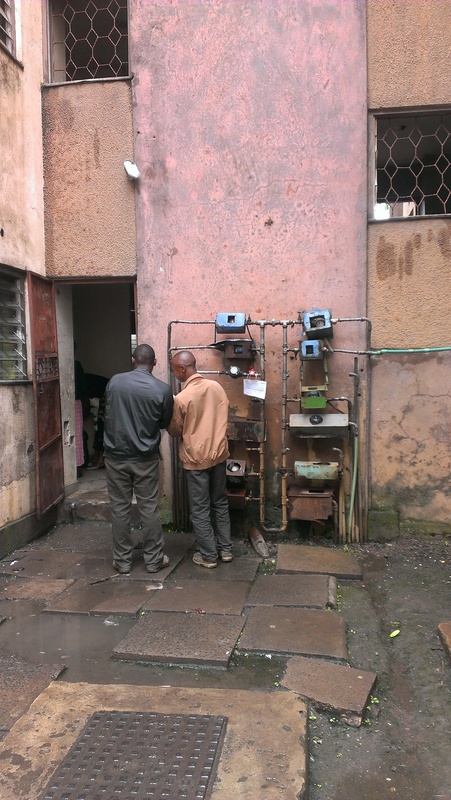 Recent research conducted by EfD Kenya, however, finds that the increasing block tariff implemented in Nairobi does not effectively target subsidies to low-income households. Estimates suggest that non-poor households receive over 80 per cent of the subsidies. The failure of targeting subsidies to poor households is due to the fact that all customers are subsidized at current prices and the poorest households in Nairobi do not have a connection to the piped water and sanitation network. ‘Policy makers need to balance multiple objectives when setting water tariffs, including cost recovery, economic efficiency, equity, and fairness. Our work suggests that the increasing block tariff is not an effective means of targeting subsidies to the poor’, says Dr Richard Mulwa, a Senior Research Fellow at EfD Kenya, and senior lecturer at the Centre for Advanced Studies in Environmental Law and Policy, University of Nairobi. ‘Our key policy message is that policy makers should use the water tariff to pursue financial and economic objectives and use other policy instruments such as meanstesting to deliver subsidies to the poor’, adds Dr Mulwa. Policy makers find the increasing block tariff appealing because of the perception that it can be used to simultaneously ensure that low-income households have access to a certain quantity of water at a price determined to be affordable, while achieving cost recovery objectives by charging higher volumetric prices for water use in excess of the lifeline block. According to Global Water Intelligence’s 2013 global survey of water tariffs, the increasing block tariff is the most commonly used water tariff across the globe. Indeed, over 70 per cent of the water utilities in developing countries surveyed implemented an increasing block tariff. The increasing block tariff often includes a ‘lifeline block’ where customers are provided a certain quantity of water, typically between 6 and 20 cubic meters per month, at a highly subsidized volumetric price. In Nairobi, the lifeline block is 10 cubic meters (m3) per month. The tariff in Nairobi includes three other usage blocks (11-30 m3/mo., 31-60 m3/mo., and >60 m3/mo.) with the volumetric price for water use increasing from one block to the next. However, the increasing block tariff typically fails to meet the objectives of targeting subsidies to low-income households for several reasons, explains Dr Mulwa. First, utilities in developing countries often sell water below the full cost of providing service, resulting in all customers, not just those whose water use falls in the lifeline block, receiving a subsidy. Second, the lifeline block is based on the assumption that low-income households use less water than high-income households. This may not be true when low-income households have larger household sizes than higher income households or when low-income households are more likely to share a water connection. Finally, the poorest households in developing countries often do not have a private piped water connection. As a result, they cannot benefit from subsidies delivered through the water tariff. ‘This is precisely what we find in Nairobi. We see a low correlation between household income and water use among households with a private piped connection. The poorest households in Nairobi also live in informal settlements and very few of them have a piped water connection. This, combined with the fact that the tariff does not cover the full cost of providing service, results in poor subsidy targeting’, says Richard Mulwa. The research was conducted by EfD Kenya in collaboration with Nairobi City Water and Sewer Company, working with its Monitoring and Evaluation Manager, Mr Mbutu Mwaura. The findings were presented to the Ministry of Environment, Water, and Natural Resources; Athi Water Services Board; and the Water Services Regulatory Board at a Water Policy Day organized by Environment for Development in Kenya in collaboration with the Kenya Institute for Public Policy Research and Analysis (KIPPRA) on 27 October, 2014. Global Water Intelligence (GWI). 2013. Global Water Tariff Survey. Dr Richard Mulwa speaks about the increasing block water tariff system in Nairobi. Recent research conducted by EfD Kenya, finds that the increasing block tariff does not effectively target subsidies to low-income households.